Yes Minister, together with its sequel Yes Prime Minister, is one of the most popular and critically successful British sitcoms of all time, largely due to its fascinatingly accurate observations of the sparring between Paul Eddington’s naive minister, Jim Hacker, and Nigel Hawthorne’s infernally cunning Permanent Secretary, Sir Humphrey Appleby. The series, originally broadcast in the early 1980s, derives its humour from the eternal conflict between the interests of politicians and the interests of their civil servants. Highly influential, the programme has coloured the way we look at politics today, and how politicians see themselves. This brilliantly funny book includes lists of interesting and little-known facts about the series; Sir Humphrey’s finest obfuscations; how to be a civil servant; translating civil service speak; how to stall a minister; and other essential tips from the show. 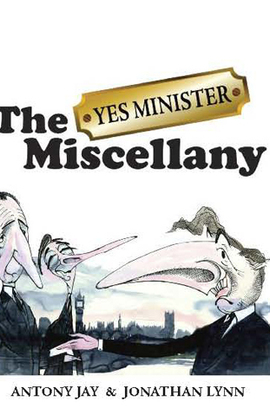 Introduced by Antony Jay and Jonathan Lynn, Yes Minister Miscellany also includes important dates, classic scenes, and the legendary Margaret Thatcher sketch in its entirety, as well as obituaries of the lead characters. It is the perfect book for fans of great British comedy.